Lynyrd Skynyrd Guitar Riffs "Don't Ask Me No Questions" - Free Lynyrd Skynyrd Guitar Riffs! 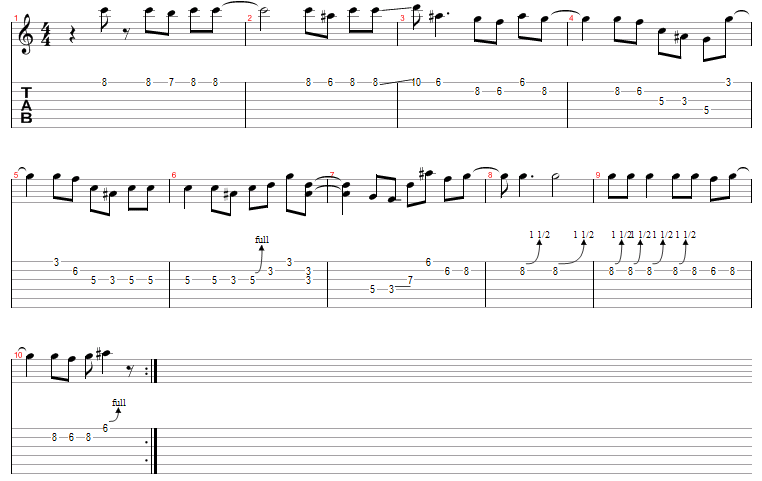 This free Lynyrd Skynyrd guitar riff is "Don't Ask Me No Questions". Get ready to rock out using power chords because this Lynyrd Skynyrd guitar riff uses alot of power chords. It is one of the easier Lynyrd Skynyrd guitar riffs to play, just start off slow and work your way up to actual speed using the audio that can be played at multiple speeds. There isn't a backing track because if you listen to the album it is just guitar playing. There are a few fills from the second guitar but I didn't think it was worth putting in because there is alot of dead space in the guitar riff. The solo to "Don't Ask Me No Questions" by Lynyrd Skynyrd uses the G Minor Pentatonic Scale and a few bends towards the end of the solo.